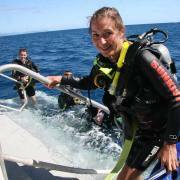 Cairns Dive Centre is a well respected professional SSI training facility. Courses run on demand all year round. We can usually accommodate dates suitable to you. There are four (4) Open Water Dive Course options available: All courses start with two (2) days pool & theory at our training centre in Cairns.